Ruhig, sauber, hilfsbereit, super Frühstück! 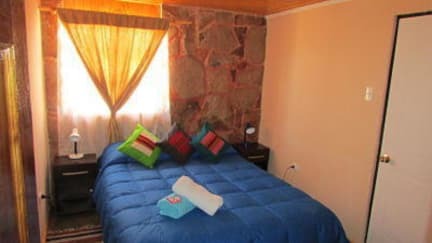 The Hostal Desert is more like a hotel which has small but nice and clean rooms with their own bathroom. It is located at the outskkirts of San Pedro in a nice and quiet street. Walking to the center takes around 15 minutes. The breakfast is really nice, with fresh fruits, cereals, jogurts and sandwiches and eggs and in case you go on early day trips you can get a take-away breakfast which is equally nice. The staff was very friendly and helpful as well, overall we enjoyed our stay very much! 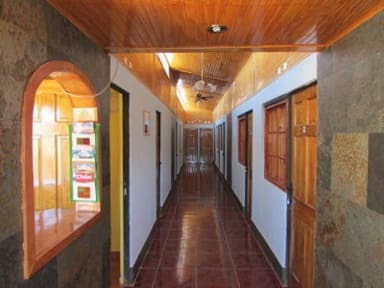 Very nice and cosy hostel in San Pedro. The service is very good, the kitchen is nice to cook in and the breakfast is great. It is a little bit outside of the center, but the nice hostel is worth walking about 15 minutes to the city center. The restaurant in front of the house looks a little bit unnoticeable, but the food there is homemade and amazing!